Reporting to the Vice President of Finance the Director, Compliance will be responsible for coordinating compliance processes and procedures across organizational and functional boundaries to ensure compliance with Federal, State, Local and United Way Worldwide rules and regulations. The Director will also work closely with the Senior Director, Grant Finance in managing various private and government grant agreements. Ensure the timely and accurate preparation and submission of all United Way Worldwide membership requirements as well as regulatory returns and reports for Federal (including the Form 990), State and Local agencies. Research regulatory requirements/best practices and assist in developing/updating internal policies and procedures to support compliance including implementing a formal vendor due diligence and RFP policy. Establish training materials regarding policies and procedures. Perform training on such materials at the time of hire and subsequently at periodic intervals to promote knowledge and adherence to policies and procedures for employees with exposure to purchasing or finance. Oversee the contract review and approval process. Review all contracts for appropriate contractual language, including the scope of services/product specifications terms and conditions, sign-off authority and insurance provisions. Establish and enforce contract policies and procedures. Assist the Vice President, Finance in managing the Risk Management function of the organization by performing reviews of high-risk areas and maintaining risk management matrix document. Assist the Senior Director, Grant Finance in the review of grant proposals to ensure they meet our compliance standards and are aligned with our community impact goals and strategies. Complete work in accordance with policies and regulations. Assist the Senior Director, Grant Finance in maintaining grant reporting and compliance calendar to ensure that finance and other groups meet reporting requirements. Bachelor’s degree in business, finance or accounting is required. Should have at least three to five years of experience in compliance, auditing or risk management. Possession of project management skills is preferable. Excellent communication skills including written, verbal, and presentation skills. Ability to work collaboratively across divisions with a diverse staff. Ability to meet tight deadlines and work professionally and calmly under pressure. 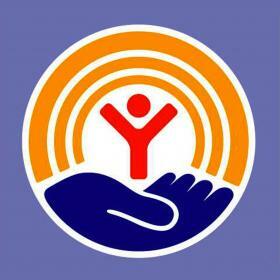 Commitment to excellence and to the mission of United Way.